What is your favorite type of donut? Have you ever wondered why donuts have holes in their center? Could it be that donuts have holes to remind us that they are full of empty calories? A typical donut weighs about 52 grams but has only 2 grams of protein – the rest is sugary goodness (200 calories of it). 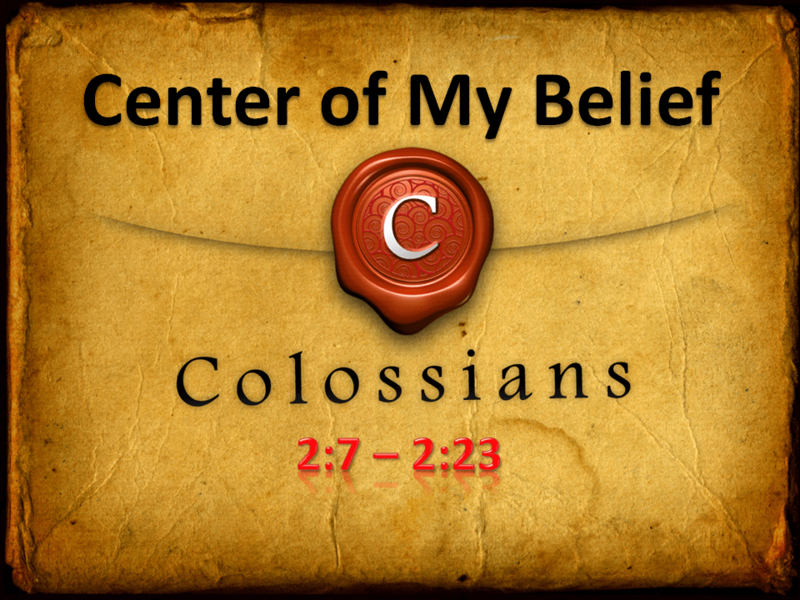 Speaking of centers, what is the center of your belief? Too many people see the Bible as just a book of rules. In fact, a Barna Goup survey in 2009 revealed that 81% of self-identified Christians contend that spiritual maturity is achieved by following the rules in the Bible. As a result, they feel satisfied with their level of spiritual maturity simply because they’ve followed the rules of the Bible. While the rules and the commandments of God are valuable, following them is not the key to spiritual maturity. If you are trying to identify the center of your belief as a Christian, following the rules is not it. To live doubtlessly, we must keep Jesus in the center of our belief by rejecting any thinking or practice that denies the centrality of Christ. And, we must recognize the importance of sound doctrine, and evaluate all spiritual truth claims in light of biblical truths, which have Christ as their focus and fulfillment.